There are days when my heart feels heavy. The reason you might ask? I’m not sure I could give just one reason. I’m sensitive to what is going on around me – not just in my direct surroundings, but also from a wider perspective. I often find my emotions and thoughts being pulled in a million different directions due to everything around me. I’m saddened by hopelessness, despair, sickness, brokenness, judgement, criticism, terrorism, corruption, lies… the list goes on. Sometimes all it takes is to look out the window and see the neighbours fighting madly in front of their young child who looks down at the ground while the voices collide above their head, at other times it’s the news bombarding from any screen possible – with an underlying current producing fear within our communities…and other times I simply close my eyes and listen to my spirit. But what makes me saddest of all is when I see Christian’s rising up with a voice sharper than a sword, cutting others down. I know we’re supposed to stand for truth, but at what cost? I know we’re supposed to stand firm on our beliefs, but to what affect on another? I see Christians making it their mission to tear each other down and prove themselves right, simply because they believe their view is correct and the other is wrong and it must be made known. I have no problem with people having differences of opinion and discussing these – but when it comes down to tearing another person apart because of their views, it pains me, especially when it’s done so publicly – don’t even get me started on social media! We live in a world that has all kinds of beliefs and principles, why should I think that everyone should live by my convictions when they don’t hold the same beliefs? What happened to the belief that “Love Wins” – do we truly believe it, can we truly live it? Or is it simply a cliché that gets thrown around to sound good in an appropriate moment? Preached from the platform on a Sunday, but forgotten by Monday. I believe love wins…but I believe that statement is tested to the core when we are asked to love an individual regardless of their beliefs and decisions. We may not love their choices – but when we can learn to love them, it’s amazing what happens. We change…our own hearts change…we see differently…and lives are impacted. With so many decisions being made worldwide that have the potential to impact everything we know – instead of taking time to slate the ones we disagree with and publicly expose the things we believe to be wrong…why not invest twice as much time in getting on our knees and praying (don’t get me wrong, I’m not saying there isn’t a time and place for petitioning our own beliefs and convictions in the right time and place)…but if we believe in an all powerful God – do we not also believe that He is sovereign? Can He not touch the lives we pray for? Can He not impact nations through whomever He wants? Can Love not win, even in the darkest of moments? After having read too many blogs where scripture was explained in and out, reading your post is just what I like reading. So thoughtfully written. Thank you. Thank you for sharing this… Much appreciated! Thank you for writing this. It resonates with me… May the Lord continue to bring such thoughts to light. Many people need it! I love this poem! You mentioned you see “Christian’s rising up with a voice sharper than a sword, cutting others down.” I think this is happens because we are broken individuals living in a broken world and unfortunately we can be prideful and unloving. Jesus said to love your neighbor as you love yourself and he also said love is patient and kind. We cannot love anyone else if we do not love ourselves first and in order to truly love ourselves we need to accept God’s love for us because he is love and he shows us how to love ourselves and others. If we know how to truly love others we would not be so quick to prove that we are right while tearing others down. The problem is we do not know how to love and this world represents a selfish mentality in which individuals are encouraged to please the flesh no matter who gets hurt in the process. Once we begin to accept God’s love for us and allow his Holy Spirit to lead and guide us, we have a chance of living the truth in which love covers a multitude of sins. Thank you Angela for sharing these thoughts! 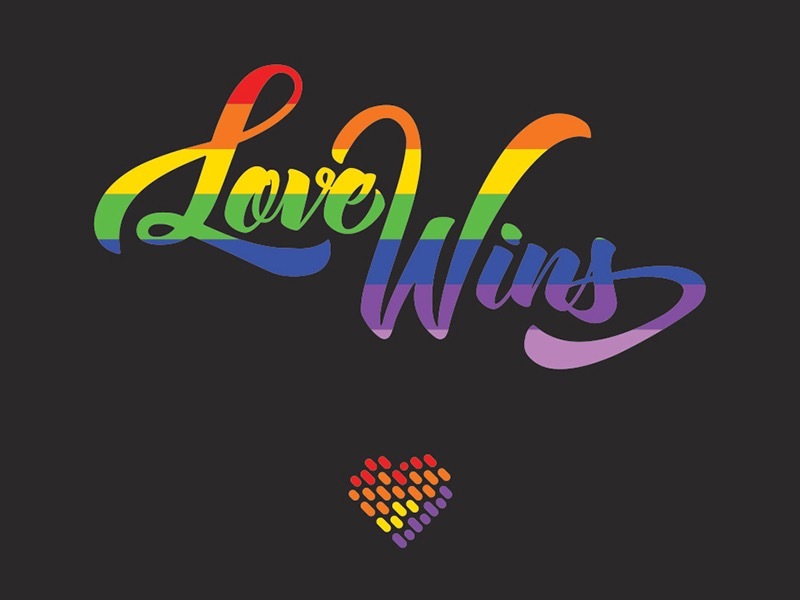 Love wins…always! Nicely said. Love will aways win.